When a plastic part was undergoing some repeated failures, NLS was contracted to evaluate the parts and recommend some design changes. 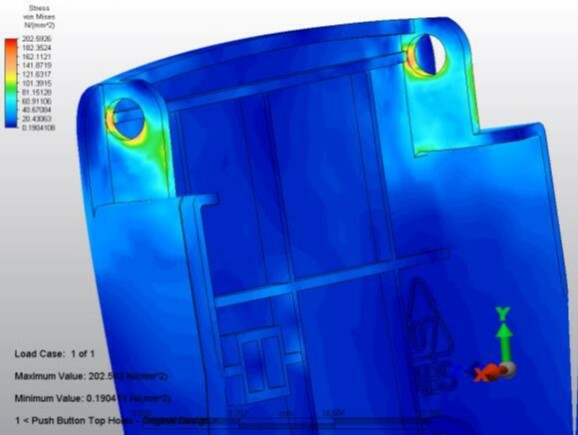 We used FEA tools to evaluate the parts with different loading until it failed and just as expected we saw the same simulated failures as in the actual parts. We made some design changes that we believed would improve performance and once again, the FEA supported the changes. The recommended changes were performed on the actual parts and the failures went away. A job well done.